In June, I cooked dinner for my friends at Forks Over Knives. 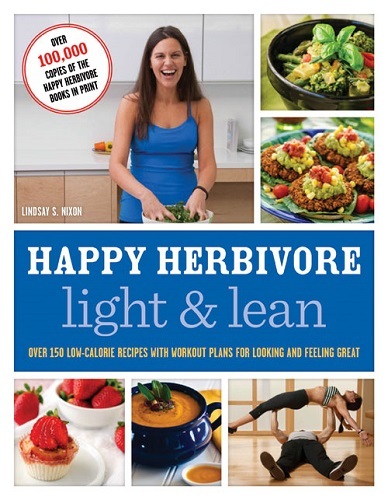 I pulled a few recipes from my upcoming cookbook, Happy Herbivore Light & Lean. 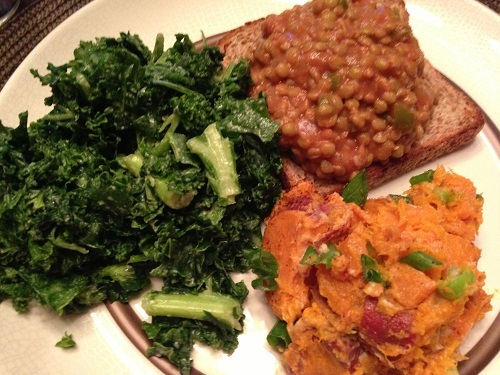 I made Lentil Sloppy Joes (served over toasted, sprouted bread "open face" style), with sweet potato salad and kale slaw. 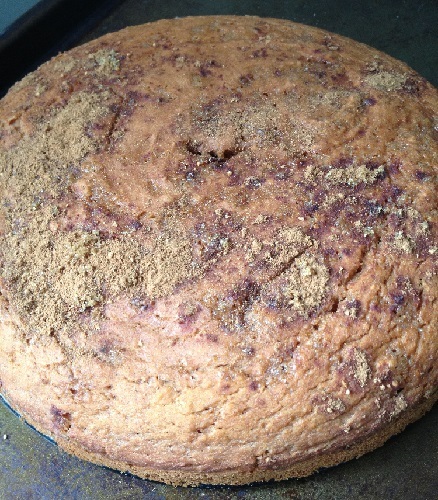 For dessert, I made a surprise cake. My only complaint? I didn't get to serve everything I wanted. 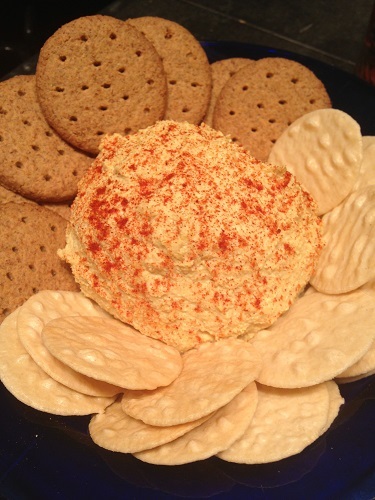 I'd planned to take the cheeseball (yes, it's vegan and fat-free/nut-free!) from HHL&L too, but I couldn't find my food processor in time. Boo hoo!